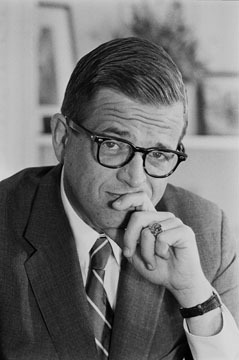 Evangelical Christian leader Chuck Colson died Saturday (April 21). His death came after news that he had been rushed into emergency surgery in a Washington, DC hospital to remove a blood clot on the surface of his brain. Colson had collapsed the night prior while speaking at a conference in Virginia. “At times, Chuck showed encouraging indicators of a possible recovery, but his health took a decided turn, and he went to be with the Lord,” said a statement on his Website. Colson was known as President Richard Nixon’s “hatchet man” during the Watergate Era. He gained notoriety after being named as one of the Watergate seven and subsequently pleaded guilty to obstruction of justice. In 1973, before serving his time in prison he became a Christian. He created the Prison Fellowship Ministries in 1976 to minister to prisoners, ex-prisoners and their families. The ministry now operates around the world. Colson is also the author of more than 20 books including “Born Again: What Really Happened to the White House Hatchet Man,” which was also turned into a movie.